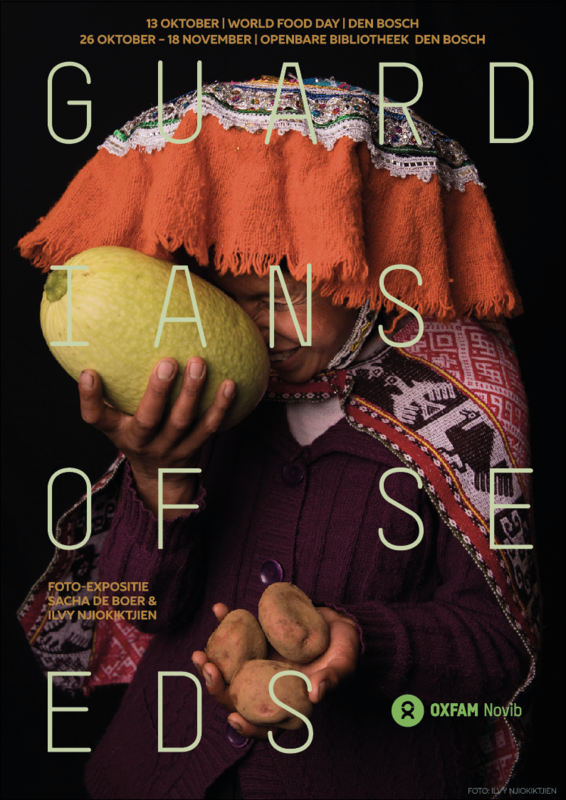 On October 13, on the Dutch festival for World Food Day, SD=HS opens a photo exhibition called 'Guardians of Seeds'. It will be a public event and you can order free tickets here. Photographers Sacha de Boer and Ilvy Njiokiktjien travelled to Zimbabwe, Laos and Peru, to meet women farmers and participants of the SD=HS program. In the photos you can see how smallholder farmers use their traditional knowledge and find innovative ways to improve their food and nutrition security under conditions of climate change. The SD=HS program invited women farmers Dorcas Nyamaharo from Zimbabwe and Maria Chasin from Peru to attend and share more of their experiences and stories. The photo exhibition will be in the middle of the Kaaihallen (Den Bosch) and is open from 11-18. After the World Food Day event, the exhibition can still be visited in the public library of Den Bosch, from October 26 - November 18.